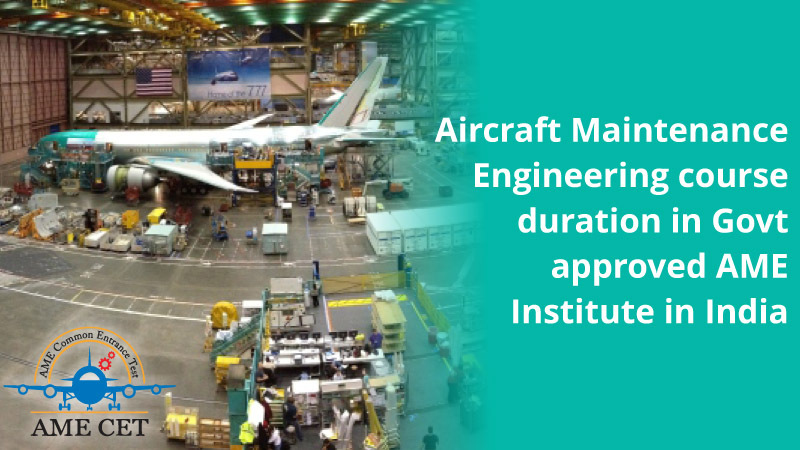 Aircraft Maintenance Engineering course duration depends upon the AME course a candidate is choose while counselling. Aircraft Maintenance Engineering course deals with the maintenance, repair and troubleshooting of the problems. The well being and protection of aircrafts and its passengers are in hands of AME. This is license based course. Through this license AME can build their career in private or government sector worldwide. AME Course can be pursue through DGCA approved Institutes. Aircraft Maintenance Engineering course duration is of 2 years which includes 1 year academic program and 1 year training program in flying environment. Aircraft Maintenance Engineering course duration is of 4 years which includes 2 years academic program and 2 years training program in flying environment such as airlines, MRO, airport etc. These courses include theoretical and practical knowledge which enhance the skills of the candidates. Category A: Category A is license holder to issue certificates for release to service after minor scheduled line maintenance and simple defect rectification within the limits of maintenance tasks. Aircraft Maintenance Engineering course duration is of 2 years. A1: Category A1 license holder is to issue certificates related to the maintenance of aeroplanes with turbine engine. A2: Category A2 license holder is to issue certificate related to the maintenance of aeroplanes with piston engine. A3: Category A3 license holder is to issue certificate related to the maintenance of helicopters with jet engine. A4: Category A4 license holder is to issue certificate related to the maintenance of helicopters with piston engine. Category B: Aircraft Maintenance Engineering course duration is of 4 year. B1.1 License: Category B1.1 license holder to issue certificates for the release of the aeroplanes with turbine engine. B1.2 License: Category B1.2 license holder to issue certificate for release of the aeroplanes with piston engine. B1.3 License: Category B1.3 license holder to issue certificate for release of the helicopters with turbine engine. B1.4 License: Category B1.4 license holder to issue certificate for release of the helicopter with piston engine. Aircraft Maintenance plays an important role in airlines as it is safe and consumes less time for travelling. Before every flight take off, it is mandatory to be certified by the licensed AME. Aircraft Maintenance Engineers are the backbone in aviation sector. MRO is a necessary requirement to ensure that aircrafts are maintained in pre-determined conditions of airworthiness to safely transport passengers and cargo. Aircraft Maintenance Engineers are required in huge numbers. There are many organizations which hire the AME worldwide. The license is authorised in India and abroad. Licensed Aircraft Maintenance Engineer passed from India can switch to work in any country.